i. Bilateral naval exercise SIMBEX-15 between India and Singapore commenced on 23 May 2015 in Singapore and concluding on May 26, 2015.
ii. This edition of naval exercise will give traditional emphasis on anti-submarine warfare (ASW) and more complex maritime exercises. It will involve various facets of naval operations such as air and surface practice firing, air defence, maritime security and search & rescue operations. INS Satpura- an indigenously built guided missile stealth frigate with integral helicopter. INS Kamorta- an indigenous anti-submarine warfare (ASW) corvette. P 8I Aircraft- It is a long Range Maritime Reconnaissance Anti- Submarine (LRMRASW) aircraft. 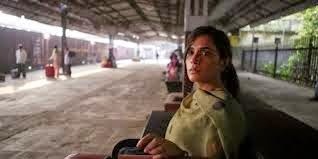 i. Indian film Masaan has won the prestigious critics prize in the Un Certain Regard category at the 68th Cannes Film Festival after it was premiered on May 20, 2015.
ii. The film is directoral debut of Neeraj Ghaywan and a joint production of Manish Mundra, Macassar Productions, Arte France Cinema, Sikhya Entertainment & Phantom Films. iii. It stars Vicky Kaushal, Shweta Tripathi along with Richa Chadda and Sanjay Mishra. The film is a narrative set based in Varanasi and its characters connected with the Ganga. iv. The critic’s prize in the Un Certain Regard category runs parallel to the competition for the main prize, Palme d’Or in the film festival. i. Tanishq Abraham, 11-year-old Indian-American child prodigy created a record by graduating from California College with three associate degrees in science, maths and foreign language studies. ii. He is native of Sacramento, California and youngest to graduate from the American River College (ARC), in Sacramento, California. iii. In 2014, he also had created a record by becoming one of the youngest ever in the US to graduate high school. i. Two Indian peacekeepers have been chosen posthumously for United Nation’s Dag Hammarskjold Medal. They are Lance Naik Nand Ram and Raju Joseph. ii. Both of them are among the 126 police, military and civilian personnel who have been posthumously awarded a prestigious UN medal. iii. They have been chosen for this award for their courage and sacrifice while serving in UN peacekeeping operations in 2014 and lost their lives as a result of hostile acts, accidents and disease. iii. Lance Naik Nand Ram had served with the UN Organization Stabilization Mission in the Democratic Republic of the Congo (MONUSCO). While, Raju Joseph had served in a civilian capacity with the UN Mission in South Sudan (UNMISS).